This article on Carla Stef appeared in Fame'd Magazine in January 2012. I truly loved doing the Behind The Scenes interviews because they stirred up memories of all the changes that had come about since I first entered the workforce. Computers and the Web have changed how we do business in significant ways. 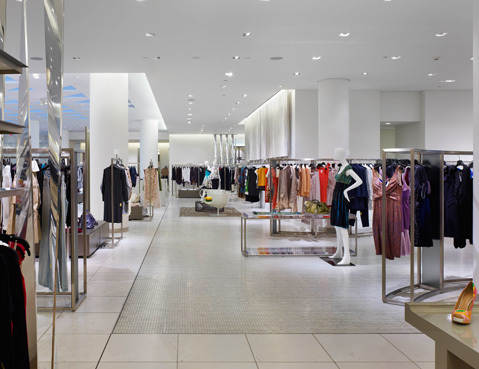 As a long time employee of a very well known company, Stef gives us a peak into her life working for Holt Renfrew while experiencing those dramatic changes. Carla Stef has come a long way from the shy, young girl who loved to spend time alone filling every spare writing table with fashion drawings. Years of working a wide range of jobs in the retail industry and running morning meetings for staff lured out a hidden love of public speaking, a knack for engaging others and a talent for public relations. As Director of National Events and Regional Public Relations at Holt Renfrew, each day offers the promise of interesting new challenges. The day often starts very early. This gives a chance to work before others arrive and facilitates dealings with stores back east. There are emails and phone calls to answer as well as managers to touch bases with to assure everyone understands the day's priorities and sales goals. Communication is all important to ensure they have the right products in the stores, employees are motivated and each has the tools needed to be successful. Everyone who wears a Holt Renfrew name tag, no matter what their position, is expected to help a client if needed. Public relations requires her to take those same skills and apply them to connecting with media and the wider community. Each project requires a tailored approach, be it working with the Holts national communications team on larger opportunities or individual brands to drive awareness of their products. When asked what advice she had for those just entering the workforce, first and foremost was to love what you do. That might mean taking the time to try several different jobs before deciding on a career. Stef also shared, “You are your own brand, so determine what it is going to be. Your brand will be how you present yourself, how you carry yourself and how you live your life. And try to be your company's greatest asset. Be the one they know they can count on, the one they can go to when something needs to get done.” What you do each and every day is an investment in your future. 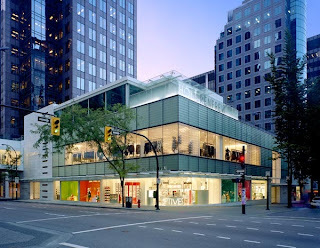 2012 promises to be extraordinary as it will be Holt Renfrew's 175th anniversary. Stef is already beginning to look what celebrations for this remarkable milestone will look like. How this unfolds over the next several months will only be one item filling her very busy slate of responsibilities, but she wouldn't have it any other way.